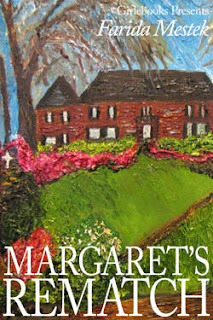 After the loss of her sister, Margaret Fairfax settles at Northbrook Hall – the country estate of her brother-in-law, Mr. Westfield, whose dislike of her is legendary. There she faces a major challenge of reconciling their many differences and proving to him that despite the rumours of schemes and scandals that followed her from London, she is worthy of his regard and affection. With time and many an exertion on her part and that of her new family, Margaret succeeds in altering Mr. Westfield’s opinion of her and attaching his heart, but she fears the worst when her deceitful friend arrives. I really enjoyed this sweet story. Farida did a wonderful job developing characters and the plot. I found myself relating to the characters. I loved the constant banter between Margaret and Mr. Westfield. This is a clean read. I will be looking for more books from Farida Mastek. If you are a fan of Jane Austen you will love this book! Hi! I've just come across your blog. I'm so happy you liked the book! Thank you very much for your kind words!